Ozone Homes is not merely a housing project. It's an idea. It's a thought. It's a piece of art created by meticulous planning and flawless execution Ozone Homes is a Real Estate Company that has an excellent track record in business associated with the Sales, Implementation and Acquisition of property. Our primary business is the construction and improvement of residential and commercial properties. We cater to the ever emerging needs of people to acquire new property, and to build new homes. Given the increasing demands of a peaceful life away from the mundane activities of life, we help you settle into peaceful homes where you can relax and even be close to nature. Our mission is to provide you High Quality construction with value for money and with total focus on your needs. The firm was established a decade ago by 3 Entrepreneurs from Pune, all of whom have rich and varied experience in the field of Real Estate. 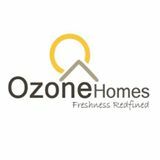 Ozone Homes a partnership firm started by 2 entrepreneurs from Pune. All of them has varied experience of over a decade in the field of Real Estate specialize in Sales, Execution and Acquisition of Property.The firm was started with the vision of providing spaces to the people stuck in their business urbanized schedule and hectic work load in a place which is full of peace and near to nature with beautiful scenery. Ozone Homes is located next to a reserve forest that rests on a hill, which is a part of the Sahyadri range. Call it a home at a hill station or a hill station around your home, you end up living at a place that is nature's abode. Also, due to its pristine natural surroundings, many people from Mumbai and Pune are making Talegaon their weekend or second home. The infrastructure of Talegaon is undergoing massive changes. Residential societies are creating demand for basic amenities like school and hospitals. Many of these facilities have already started rolling out their services. Since the Government wants to establish Pune as a technology hub, Maharashtra Industrial Development Corporation (MIDC) has acquired large areas of land to set up Biotechnology and Infotech Parks between Talegaon and Vadgaon. MIDC has also developed over 250 acres of land at Talegaon as floriculture park for production of superior quality flowers like Tulips and Orchids, for the domestic and international markets.